The term “tractor beam” (a shortened form of “attractor beam”) was first used by a sci-fi writer in 1931. It describes a force-emitting object that draws other objects closer to it through some futuristic force. The fictional technology was used liberally in the Star Trek universe. Ever since then, scientists have tried to make the tractor beam a real thing in many different ways. 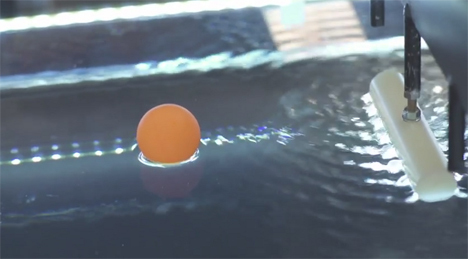 Researchers at Australian National University have created a water-based tractor beam that comes closer to the storied technology than we’ve ever seen before. 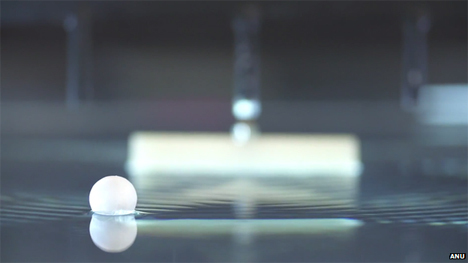 The method works by creating different types of waves to control the movement of objects on top of the water. The Australian tractor beam can move objects toward or away from the source of the waves, or cause it to stay stationary in the water. The waves are complex and three-dimensional, causing distinctive flow patterns on the water’s surface. These flow patterns are changed to control the movement of the object on the water. The funny thing is that, although most of us have been making this type of wave in the bathtub since we were kids, the mathematics behind the currents haven’t yet been explained. Scientists don’t really know how the whole water tractor beam thing works, only that it produces reliable results. 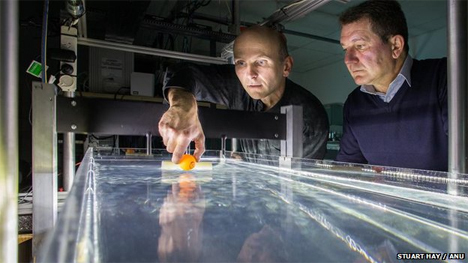 Although it might seem like a fun experiment without much potential for common use, the tractor beam could be a huge benefit for the world’s oceans. It could be used to clean up sea junk and even to separate an oil spill from the underlying water for the purposes of a clean-up effort. 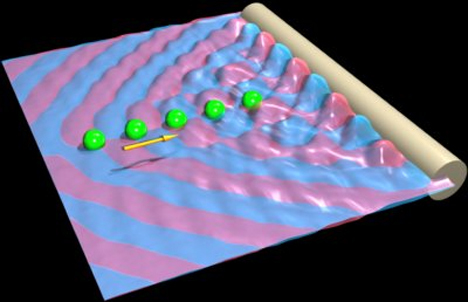 The ANU research was published in the August 2014 edition of Nature Physics. See more in Earth & Nature or under Science. August, 2014.